In 1969, my first car was a 1961 MGA coupe. It was straight but very tired. 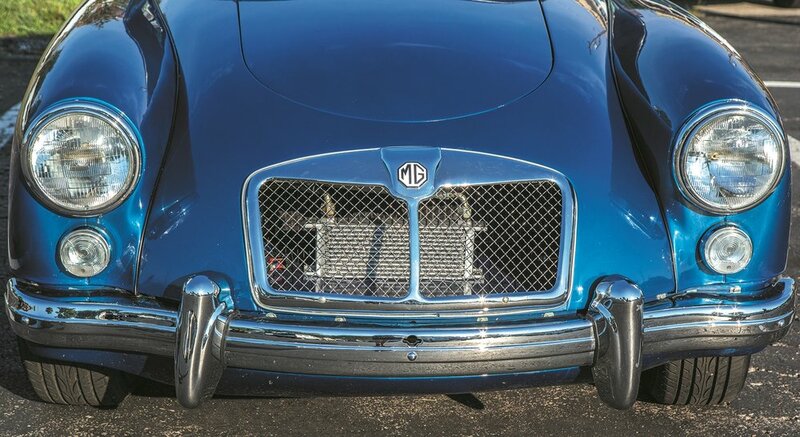 It was the first MGA coupe I’d ever seen; and to this day, it was the only “Alamo Beige” MG I have ever seen.”Alamo Beige” is Brit-speak for PINK. I knew how to paint but had never rebuilt a transmission or an engine larger than a lawn mower. So it was with the recklessness of youth that it was fixed well enough to survive another eight years of youthful recklessness. The car then suﬀered the embarrassment of 35 years of storage. In 2012, the renovation began. Having Victoria British just 30 miles down the road was a tremendous bonus. Even with that bonus and a few tricks learned since 1969, it still took two and a half years to finish. Forty-eight years after first seeing the car, it has reignited a bit of that youthful recklessness in me and the car. Best of all, it’s not PINK!